Our SOLAS rescue vessel is a joint venture between JP RIBs and Lancer Industries Ltd. Lancer is the first manufacturer outside of Europe to be SOLAS approved and has been producing SOLAS approved vessels since 1989. 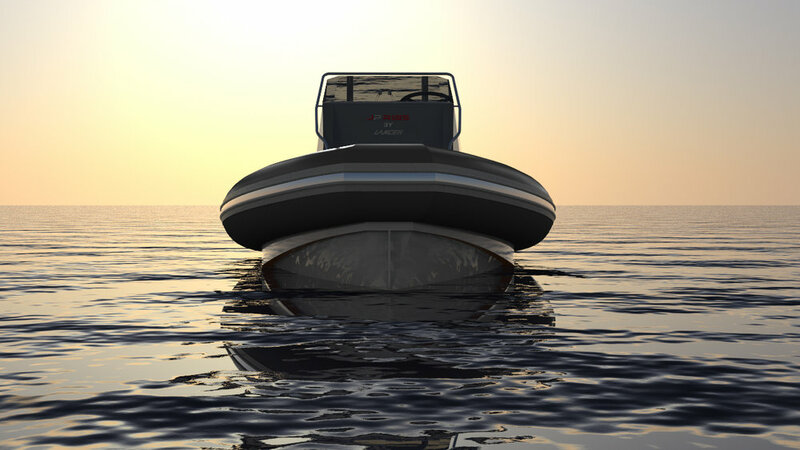 As a pioneer of RIB manufacture Lancer has a reputation for reliable and quality products and we've combined with them to bring our bespoke designed, premium approach to Lancer's SOLAS vessel. The Versatile 5000 incorporates clever functions to ensure sea-kindliness; weight and function are maintained on a small RIB. The hull shape is very distinctive and, with large tubes, is visually striking. To maximise usable hull length the jet has been recessed in the hull. This creates a more central centre of effort and balance that will mean a smoother transition to planing speeds. The bow is a knife like 71 degrees before tapering to a deep V amidships of 28 degrees giving control and sea keeping. The plumb bow extends approximately half the hull height before the traditional hull. This allows any plunging effect to be released and the boat to have directional control. The profile reduces tube drag when planing, by only the rear most sections touching the water. This 5.0 metre vessel will be the smallest SOLAS approved Diesel Jet RIB available. Despite the small size of the boat and SOLAS requirements the Versatile 5000 has managed space and ergonomics for a very useable vessel. A swim platform with ladder allows for easy access from the rear and the righting arch provides extra handholds. This allows for further activities such as diving and snorkelling. Bow locker is generous allowing for not only storage but safe footing when embarking from this point. 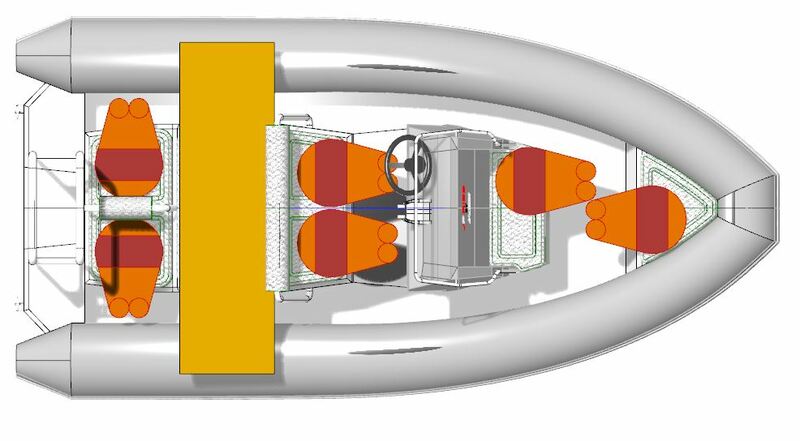 The aft righting frame will also double as a towing post and the vessel will be able to be used for water sports such as wakeboarding or tubing.